Hi guys, here's the preview of KOH Galaxy. 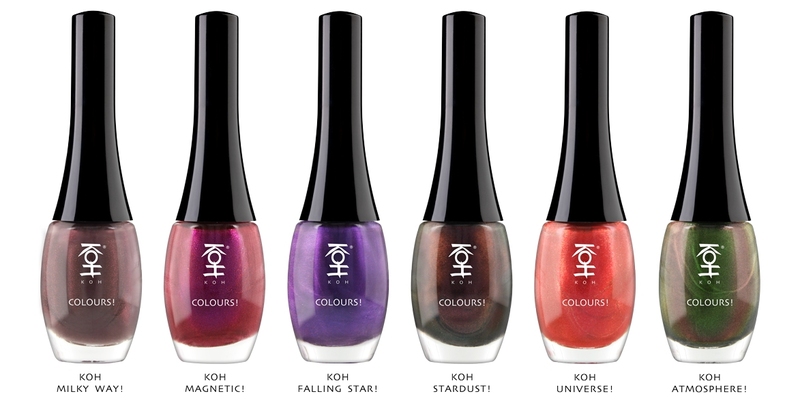 This Limited Edition will be available on September 1 in various stores and online on the KOH Cosmetics webshop. You can click the image for an enlargement, and oh my, don't these look awesome here? Hope they'll look as good on the nails!